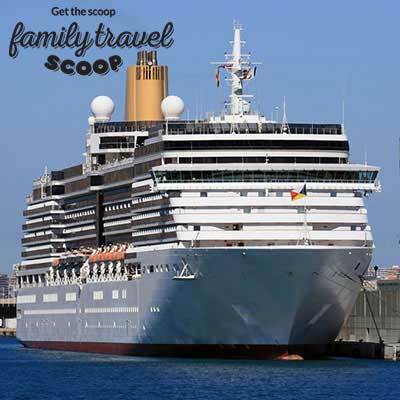 Which is the best family cruise? That depends on the ships more than the destinations! Most of the major cruise lines sail to multiple destinations worldwide. Here are the top picks of kid's cruises wherever you're sailing to. Don't forget to check our cruise packing checklist so you don't forget anything! 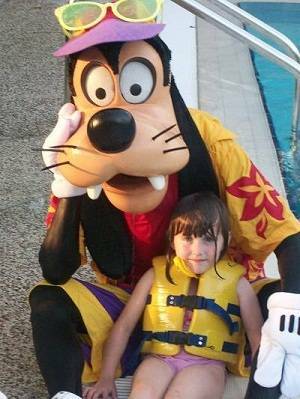 Disney Cruises -No matter what the route the Disney cruises can be counted on to provide a great time for the kids. On the Disney Wonder kids have supervised activities all day and for teens the activities go on into the night. There are playrooms for young ones and hang out areas for teens, both spacious and full of entertaining diversions and also a games arcade. The kids are split into age appropriate groups and there is also babysitting for babies from 3 months old as well as a supervised nursery for 3-month olds to 3-year-olds. There is a separate paddling pool for babies in diapers and all cabins have bath tubs. Rooms can sleep up to 5 people. The Disney fleet sails in the Caribbean, Europe and the Bahamas. In our opinion this is the best family cruise! Read more here. Royal Caribbean Liberty of the Seas- Perhaps trying to keep up with Disney the Liberty has the Dreamworks Experience where characters and themes from Dreamworks movies have been used. There are characters like Shrek walking around and Disney style parades. For the kids activities there is the Flowrider surf simulator, rock wall climbing, ice-skating, H²O Zone kid's water park, poolside movies, and mini-golf. There is also a Royal Babies and Tots Nursery, with fisher-Price toys and a teen and tween lounge complete with video games, disco music and more. The Royal Caribbean fleet wins on activities for kids! Royal Caribbean has a fleet of 5 ships which provide similar experiences for kids and sails throughout the world and there are cabins for up to 6 people.Read more here. Norwegian Epic -This is the company's newest ship voted "Best Cruise Ship 2011" by Travel Weekly. The emphasis is on casual or freestyle cruising with flexible eating and activities. For kids there are water park rides, a huge Wii wall, rock climbing wall, bowling alley, video arcade and scavenger hunts. The kid's clubs are split into 4 age groups and activities for the 2-12-year-old group goes on until 10:30pm. For teens there is a hangout lounge which is also supervised and there are activities for these older kids like karaoke and themed parties. For a price there is Port Playgroup sitting for kids 2-12 and late night group sitting (until 1:30am) as well so parents can get some alone time. This cruise line has Nickelodeon as their kid's theme which means Dora the Explorer and Team Nick with costume characters meeting and greeting, poolside activities, messy games (slim, pie fights etc), sing-alongs for the whole family, pajama parties, story time with the Nick characters and arts and crafts. The emphasis on this ship is activities that the kids and parents can share. There are many room combinations here as well as connecting rooms and multi-room staterooms for up to 6 people. There are 2 bedroom suites with 2 bathrooms and a private courtyard. Read more here! Looking for the best single parent cruises? Check out these single parent cruises for great ideas! Also our check out our cruise packing list. Don't forget to download your Fly It Quiet pack full of fun travel facts and games for kids!Fly It Quiet pack full of fun travel facts and games for kids!